The future of the Vampire: The Masquerade – Bloodlines 2 series will rely on the implementation of a “seven-to-ten year cycle,” according to Paradox Interactive’s CEO. In an interview with PCGamesN at PDXCon this weekend, Fred Wester said the company were considering ongoing possibilities for the franchise. As good today as they were at launch – here’s a list of the best classic PC games. 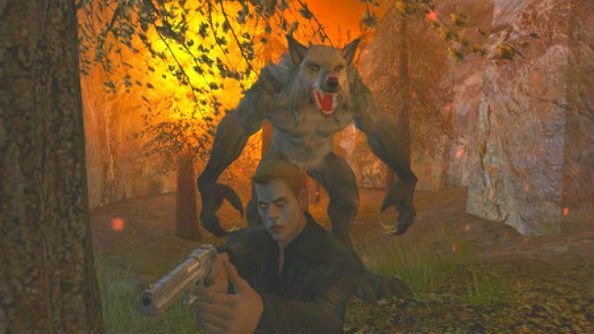 Wester also suggests it’s unlikely that a new Vampire game would be Bloodlines 2, but that it could be “something Vampire RPG.” However, he also states that “the first game [in the new franchise] is probably going to be the worst game from us that they ever see in this franchise, because the [second] one will improve on the first one.” If any of that sounds familiar, it’s because this isn’t the first time Paradox have discussed the possibility of a new Vampire game – at last year’s PDXCon, they said they said they’ll make a Bloodlines sequel “when the time is right.” That’s definitely good news, even if there’s nothing to say when that time could possibly be just yet.